When Microsoft released the Windows 8 Developer Preview last month it warned that it was unstable, incomplete, a very early build which has a long way to go before it's ready for release. That doesn't sound too promising - but on installing it we were surprised to see just how many great new features Windows 8 already contained. From the shiny new Metro interface and interesting Explorer tweaks, to new applets and major performance enhancements, Windows 8 is - even at this early stage - packed with essential functionality. Yes, we know - every version of Windows promises boot time improvements. But this time Microsoft has really delivered. Our test Dell Inspiron 1090 (a seriously basic laptop) took 48 seconds to launch Windows 7 from the boot loader. Choose the Windows 8 option, though, and the Metro screen appeared in only nine seconds - more than five times faster. How does it work? There are many tweaks, but maybe the most important happens when the system shuts down. It closes all your programs as normal, but the kernel is now hibernated, its RAM contents saved to your hard drive. This doesn't take long, and when you reboot your system can be reinitialised far faster than before. Your Windows 8 laptop won't just load faster, it'll also display useful information right away, without you having to do anything at all. And that's because your lock screen, where you'll normally log in, can now be customised with apps which show you details on waiting emails, your schedule, RSS feeds, whatever you like. So Windows 8 means you won't necessarily have to turn on your laptop, wait for an age as it loads, then wait even longer to launch an application, just to discover some really basic item of data: it could be available on the lock screen in seconds. 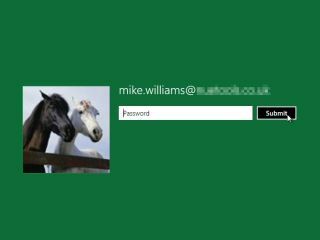 If you already have more than enough passwords to remember, then the good news is that Windows 8 will offer you an unusual alternative: the picture password. You'll be able to point Windows to a picture you'd like to use, which you then click, tap or draw on with your mouse or using a touch screen. So if you choose a picture of your house, say, you might draw an outline around the roof, then tap on a window and the front door. Windows will remember your gestures, and won't allow anyone to log in later unless they can repeat them. If that doesn't sound appealing, don't worry - you can continue to log in with a regular alphanumeric password if you prefer, just as before. The Windows 8 Metro interface doesn't give you static shortcuts to launch its applications. Instead you get dynamic tiles, which you can change in size to reflect an app's importance, and freely organise into whatever groups best suits your needs. And, again, these tiles aren't just used to launch the apps. They can also display information from them, so if something interesting has just appeared on an RSS feed you're watching, then you'll get to see it right away. Of course, with so much functionality on the Metro desktop, it may take a while to set it up just the way you like. But don't worry, you only have to do this once, even if you've several Windows 8 PCs, because you'll be able to synchronise your Metro apps, their settings and application histories (as well as login details for applications and websites) across all your systems, entirely automatically. All this syncing, email-checking, RSS monitoring and so on could become a little expensive if you're using a metered 3G connection, of course. So it's just as well that the new Windows 8 Task Manager includes an App History feature which can show you exactly who's hogging all your network bandwidth (as well as your CPU time, hard drive and RAM). Traditionally Windows has left it up to you to manage the programs you run. So you can launch as many as you like, and the system won't complain: it'll just get slower, and slower, and slower as you run out of RAM and it starts swapping to disk. Windows 8 is fortunately a little different, at least when running Metro apps. If you're running short of resources then it'll close down anything you've not used for a while, to try to help out. Don't worry, the app's state is saved first, so you don't lose anything; relaunch it and you'll carry on exactly where you left off. Sharing something you've found online is an everyday experience for most web users, and so it's great to see Microsoft build that idea into Windows 8. If you've discovered a great photo or web page in IE10 then simply hit the Share button and you'll be able to send its link via any compatible app you've installed - and they'll then update your Twitter, Facebook or other account right away.